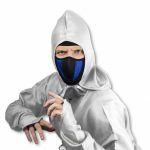 Do you aspire to be an ice ninja? 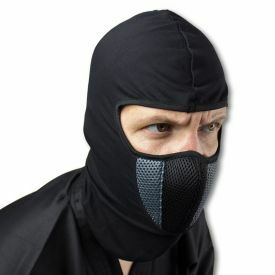 The Ice Ninja Mask can help you with that. Made out of a cotton-spandex mix, this blue and black ninja mask is perfect for the ninja who thrives at sub-zero temperatures. 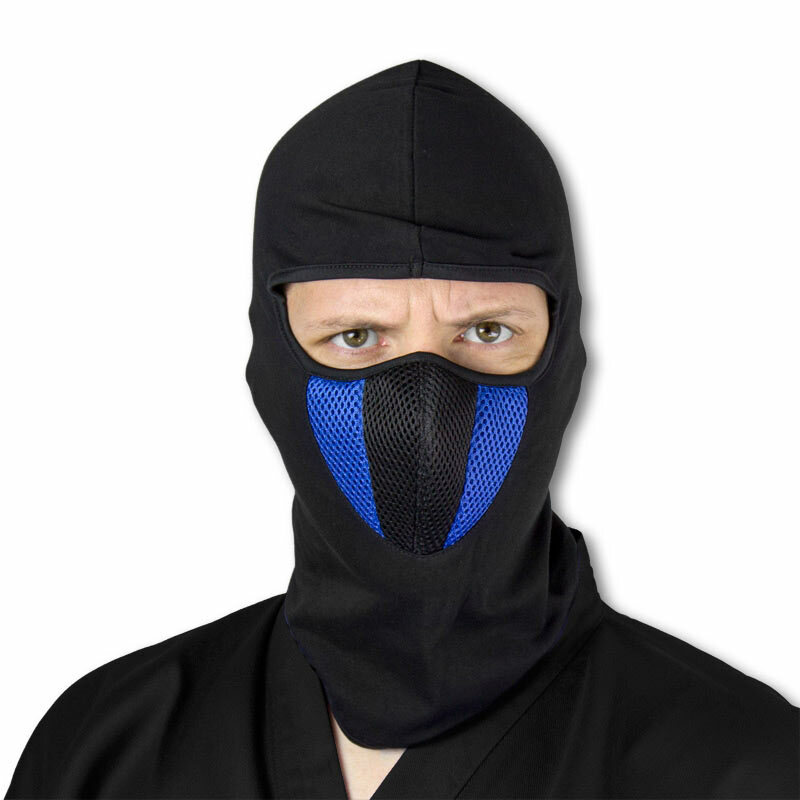 The black and blue mesh at the nose and mouth is designed to cover your face without restricting your breathing. 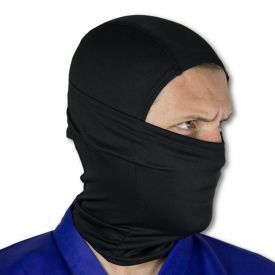 This ice ninja face mask is perfect for accessorizing a ninja uniform of any color. 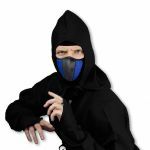 Maybe you like blue, or red, or classical black. 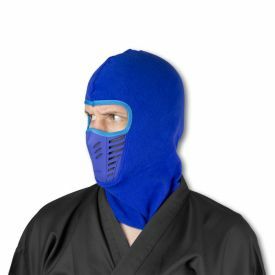 If you're ready to use your cryomancer ninja powers to compell your neighbors to give you candy this Halloween, then the Ice Ninja Mask is just the thing to keep you anonymous, even if they call you the "sub-zero ninja."